If you truly want to know San Diego, then you need to spend a day downtown in the San Diego Gaslamp Quarter. 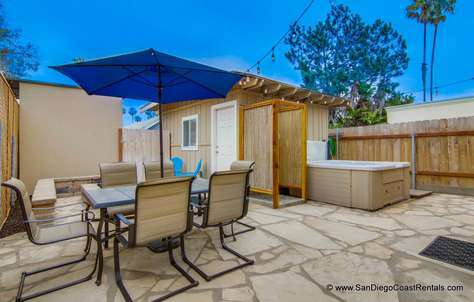 This is the heart of the San Diego, where you can find some of the finest dining experiences, best bars, most energetic clubs and many other popular tourist attractions like Petco Park, Seaport Village, the Convention Center, and the U.S.S. Midway Museum. San Diego’s historic Gaslamp Quarter sprawls over 16 blocks and has roots dating all the way back to 1867. It includes 94 historic buildings, many of which are still in active use. Just stroll down the streets of the Gaslamp, and you’ll see beautiful Victorian architecture that houses vintage movie theaters, elegant restaurants and trendy stores. Petco Park is the beautiful and expansive home to the San Diego Padres baseball team. Sure, they aren’t the best team in the league (yet) but we love them and the venue is awesome. Tickets to the game are very affordable, so why not take in a game and root for your temporary home team? 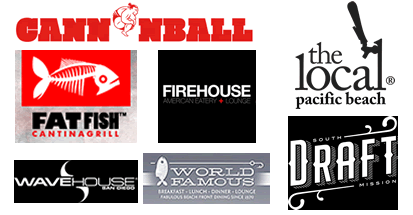 From Petco Park you are within easy walking distance of a slew of restaurants, bars, and clubs. Many nearby hotels also feature rooftops bars that allow you to look down into the stadium. It can be an incredible experience to sip drinks on a warm night and listen to the crowd roar from a distance. San Diego’s convention center is always busy, hosting big tradeshows, events, conferences, and exhibits. 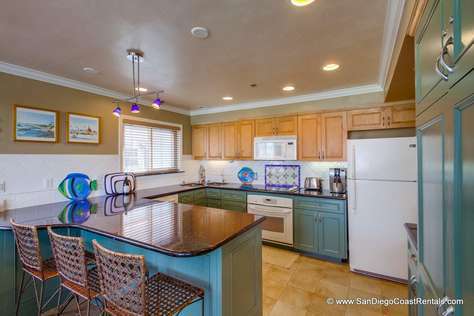 It is located right on San Diego Bay and provides stunning views of the water. It is located in the heart of the city, providing business travelers and vacationers with a centralized location near great restaurants and bars. The convention center features over 525,000 square feet of exhibit hall space and over 204,000 feet of meeting room space. The convention center also hosts the wildly-popular Comic-Con convention each year. If you can make it to San Diego in July, you’ll see the city transform into a superhero and media mecca. The costumed citizens are a sight that just can’t be beat. Seaport Village is a 14-acre waterfront complex that invites you to stroll along the scenic San Diego Bay, shop at one of its 54 unique boutiques, or grab a bite to eat in its casual eateries or fine dining restaurants. You’ll always see runners and joggers taking advantage of the four miles of cobblestone pathways that make up this complex. Tourists and San Diegans alike flock to Seaport Village to take in the gorgeous views, copious amounts of sunshine, great shopping, and wonderful food. If you have an interest in America’s military past, then add a trip to the U.S.S. Midway Museum to your schedule. You will not be disappointed when you take this self-guided tour through the massive aircraft carrier that was active up until the1990s. Now, the Midway has been brilliantly preserved as a museum that includes 60 exhibits and a hanger deck that features 29 restored aircraft. The self-guided tour takes visitors through the ship’s galleys, sleeping quarters, cafeteria, captain’s quarters, control tower, flight deck, and more. Volunteer military veterans are usually available to answer questions in many of the exhibits. This is a great experience for adults and for older children. You can easily spend an entire day wandering through Balboa Park, visiting its 15 major museums, admiring the impressive Spanish architecture of its buildings, finding a little harmony in its oriental gardens, or just relaxing on the abundant greens. Balboa Park spreads across 1,200 acres and is the nation’s largest urban cultural park. It is also home to the San Diego Zoo, one of the largest and most prestigious zoos in the world. San Diego’s Gaslamp Quarter is also home to many incredible restaurants. Whether you are in the mood for a fine steak dinner, Chinese, Italian, Mexican, Thai, Indian or some other worldly menu, you can likely find exactly what you’re looking for with just a short walk through the Gaslamp. Lots of little downtown shops are also tucked in between restaurants and bars, but if you want a true shopping experience, stop off at Horton Plaza, a trendy, multi-level outdoor mall that includes a movie theater. If you want to make it truly a night, stop by one of the elegant wine bars, or throw back at a hole-in-the wall establishment. San Diego has plenty of bot, along with hot and feisty clubs where you can dance, drink, enjoy fresh music, and dance some more. 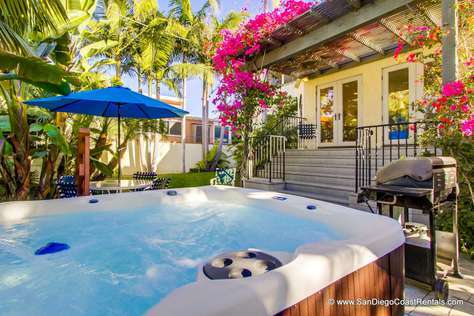 The San Diego Gaslamp District is within a short drive of many of our rental houses, cottages, and condos. The city also offers multiple public transportation options, including the San Diego trolley. It’s easy to find public transportation into the Gaslamp. From there, most destinations are walkable as long as you wear a pair of comfortable sneakers. If you happen to be in heels, try out one of the ubiquitous bicycle taxies.